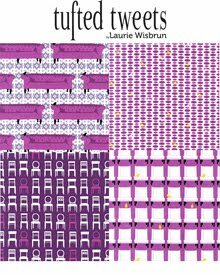 Laurie Wisbrun | Scarlet Fig: Brr! | Round up and Giveaway! Over the last few months, there have been some truly gorgeous and amazing projects popping up around the blogosphere that feature my holiday line, Brr! Robert Kaufman was generous enough to send out some advance cuts to a handful of people and we asked them to play with the fabric and show off their creations. I was simply astounded and tickled at the enthusiasm and excitement around the line. Thank you for all of your wonderful emails and comments about the little bears! I know you've been waiting patiently for Brr! to make it out into the world. And now the time has finally come!! Yea!! The line has begun shipping and you should start to see it start to appear in your local quilt stores and in online stores within the coming weeks. But to keep you tied over until then, I have 2 full FQ packs (with both the green/red and aqua/red color stories) that I'd love to share with 2 lucky winners! But first let's just take the opportunity to gush over the fabulous and unbelievably creative quilts and projects that were already created, shall we? Sigh. Squuee. Sigh. So very, very lovely, right? And they are all so unique and different! And even more lovely goodies! Leave me a comment here and tell me what you plan to make with your Brr! I'll choose 2 winners this Sunday evening, July 1. Have a wonderful rest of week and weekend everyone!! If I win, I will make advent calendar. Those bears are perfect for windows in calendar! i'm thinking of xmas pyjamas! Oh boy, those are some awesome projects! This has got to be my favorite winter fabric ever! I'd probably make pj's, a bag, AND a blanket! Though, I love jednoiglec's idea of an advent calendar with the bears! Thanks so much! Drawstring bags to fill with gifts! 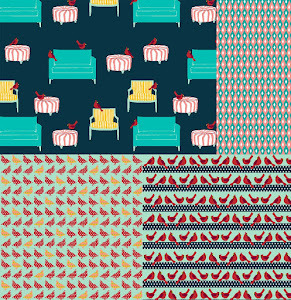 Lovely fabric range, can't wait to see it for real. I've definitely been patiently waiting for this fabric! Lets see...table runner, gift bags, wall hanging! The list could be endless. Thanks for the chance to win some of this wonderful fabroc. 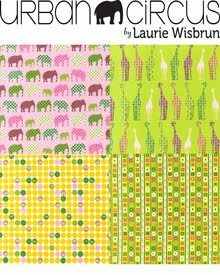 obviously don't enter me in the contest Laurie, but I just wanted to thank you again for the opportunity to work with these fabrics. I've loved every minute! I was just doing some more hand quilting on that swoon baby quilt this week! I would like to make pillow cases to give to my young nieces and nephews to use for the holiday season. 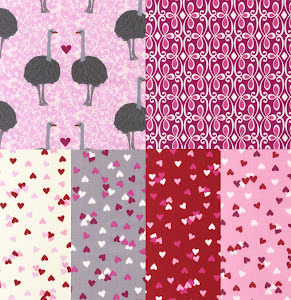 The fabrics are adorable, thanks for the chance to win! I really like the gree/red combo pack. I think it'd be perfect for making a fun and cute Christmas table topper or table runner. Thanks! Definitely a Christmas quilt! My 21 month old adores quilts - probably one for him! I love the triangle quilt and the stitchery. 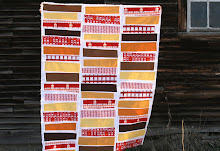 As it is hot here for Christmas, I like to make wall quilts and table runners. i'd make a quilt for a friend's baby due at the end of november. I love this line, I would certainly make a quilt for my son, adding some kona cottons and I would like to try to do a drawstring bag. I'm having a baby boy in November, and I think those adorable red and aqua polar bears would be perfect for a quilt to keep him warm all winter. Thanks so much for the giveaway! I was thinking making pj for my four boys and pillowcases for the twins....but I swathe Christmas stocking that is a great idea. Love this line and thanks for the giveaway! Christmas pj pants for my two boys and possibly an entry table runner! Christmas stockings or pillowcases would be awesome! I would make advent calendars. I make them every year and this gorgeous fabri cline wouold be perfect. Some stockings maybe and a lovely quilt for myself. 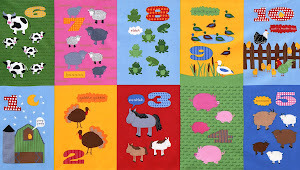 I'd love to make a Christmas quilt for my niece! Ooh! 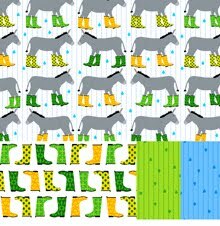 The snow flakey prints will become trouser turnups for me and my little boy, the stripe and polar beary ones perhaps a little quilt or little boy trousers, and the flowery one would be trim on a blouse for me and the yoke of a Charlie Tunic for said small boy. Looks like Christmas stockings to me. I'd make some little drawstring totes to use for giving gifts in this year. I would love to make some Christmas pot holders and hand towels! I see a christmas table runner, placemats and coasters, little dresden pincushions, a hexagon quilt. I see so many things in this line that it will be hard to decide what to make. The red and aqua series is amazing. Thank you for a great giveaway. I'd like to make some Christmas PJs. My granddaughter will become a big sister in October and I would love to make both her and her baby brother a pair of new pajamas! I want a quilt. Or a tree skirt. Or honestly maybe both. I've been waiting for this line for so very long it seems! 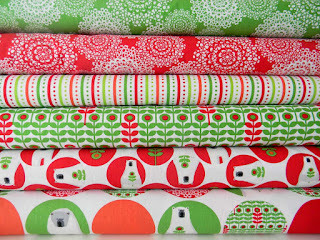 I would make a tree skirt and table runners....this fabric is so sweet. Thank you for this chance. I'd make pajamas. The polar bears are adorable! I would love to make a Christmas quilt for my parent's as a gift this year. They love to decorate for the holidays and this would be so perfect in their house. 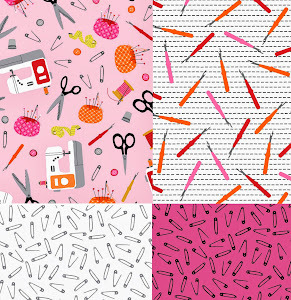 Oh wow - what wouldn't I like to make with these fabrics!? 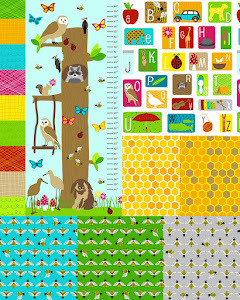 I think I'd fussy cut for a yummy Kindle cover for my Nana and then make a delicious table runner for my kitchen which would jazz it up nicely (it's white with black so these colors would POP in there!!). Then I'd add the rest in a converging corners lap quilt as I LOVE those quilts!!! Fingers crossed!!! I'd make a table runner and gift bags. 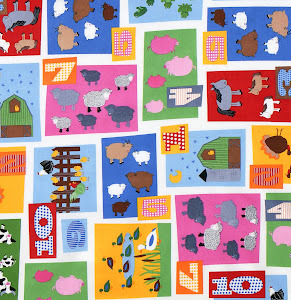 I'm having my 3rd baby (due a few days after Christmas) and I think a baby quilt with this fabric would be perfect! HELLO! 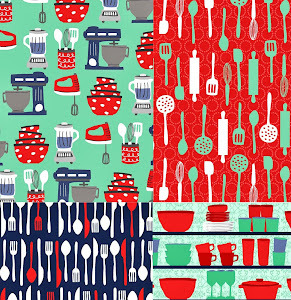 If I win I'm starting some gift placemats for Christmas with these yummy fabrics! 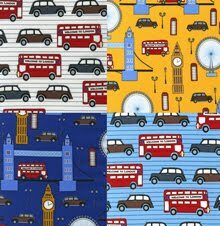 I just love this fabric line!! I think those polar bears are definitely up to something! I think I would make a lap quilt to use all winter! What a way to cool down, channeling Brr on this hot day. I am thinking some pjs for the grandkids and some matching doll clothes. Maybe something for the door. So, so fun. I'm trying to make a Christmas quilt for each of the beds in my home. These would be perfect. Thanks for the chance! I can't tell you how much I've been waiting for this line ... I wish I'd bought up everything from your etsy!! I'd make a lap quilt. I'm not a very Christmassy person but this line makes me want to make seasonal stuff ...EEEK! Yay! I think this would be some nice fabric to use for a quilt. I need to make one or two to donate to my churches craft bazar and another to our local cancer charity!!!! Free fabric helps me donate more!!!! Probably a quilt and little toddler pj bottoms for my son who would love to match his blanket! These are adorable. I would have to make a Christmas stocking for my granddog Fletch the choco lab - my grandchildren wonder why I forgot Fletch when I made their stockings. And then I would make Christmas jammies for my grandbabies. The photo of the jammies is too stinkin' cute. Love this line! Plans for Brrr! include quilts for two adorable nieces, who are currently in South Africa. I have to remind them about cold weather and snow! We need new stockings this year and the ones photographed are just beautiful, so I think that's what I would make too! I loved this fabric the very first time I saw it and have been waiting (as patiently as I could!) for its appearance. I plan on making a tree skirt for me and stockings for my 2 grandchildren! I am so excited about this fabric! I would definitely make something for the teachers, as Christmas gifts. I think I would make some throw pillows or pillowcases for my daughters too. Thanks for the opportunity!! I have loved this fabric since I saw your first sneak peek.. 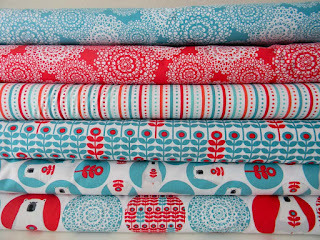 I would make a quilt and maybe some stockings love the aqua and red color way! Those samples are just mouthwatering! 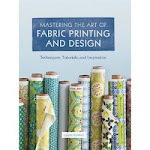 Can't wait until its at my quilt shop! I love, love,LOVE the polar bears going into space! My daughter in law collects polar bears and would want a quilt! I have been waiting and waiting to make two fabulous quilts for my great nieces! Would love to get my BRRRRR fix early!! I'll make some Christmas stockings with it. I think I'd make pillowcases for my boys, I'm sure they'd love them. We have a new baby in the family and I would use Brrr to make a quilt celebrating her first Christmas. tree skirt! pyjamas for the granddaughters! napkins, placemats, table runner...and on and on!! beautiful! That double wedding ring pillow really caught my eye, would love to make a whole quilt with you lovely fabric. Christmas placemats and a Christmas wallhanging.I love these fabrics. I need a quilt to go with my pillow panels I bought! I think I'd make a wall hanging for my grandmother, or possibly a lap quilt for her. 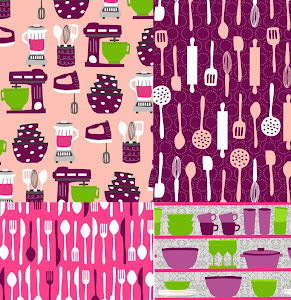 I know she'd love these fabrics! Thanks for the chance. so fabulous! I would do something with the triangle shapes- this fabric is GREAT! I have loved this fabric since the first time I saw it. I would probably make Christmas jammies for our grandson or maybe a TV pillow for him. 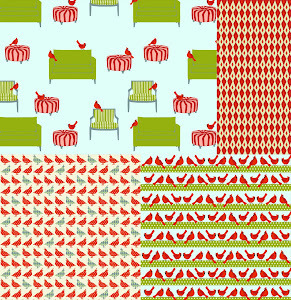 This is one of the only Christmasy fabrics I like! It's not too cutesy, too holiday, too busy. I would make a quilt using big pieces of the fabric so I could appreciate the bears and the balance of the other patterns! I want to make a Christmas quilt for each bed in our house. This would make a great one! 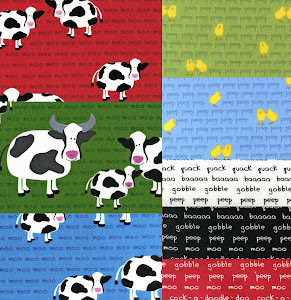 Stockings would be great with this fabric, or lovely little gift bags. I don't know what I'd make exactly, but I would definitely use it to make something awesome! Wow - so much inspiration. I just adore this line (especially those polar bears!!). 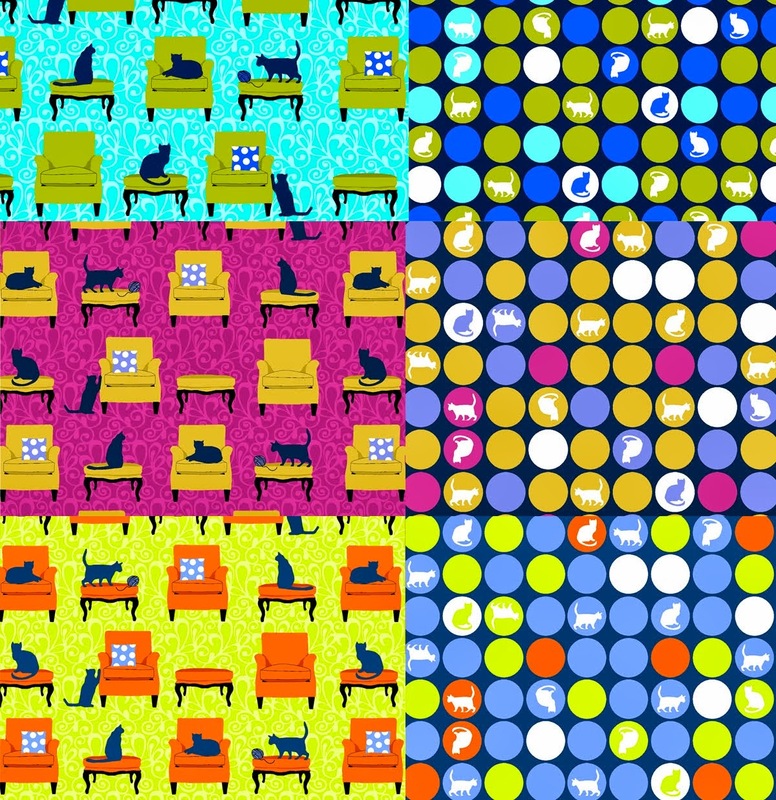 I would to make a bright, cheery quilt! Would love to make placemats & table runner for holiday dinners. Oh! I've been waiting for Brrr!. I'm going to make my polar-bear crazy daughter a quilt. I'd love to make the Timber Quilt that Ashley made (Film in the Fridge). I would love to make a tree-skirt for our Christmas tree. i'm in serious need of some new christmas kitchen stuff...potholders, dish towels, even placemats for the table. so i think Brr! would be perfect for that! 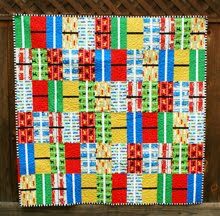 I would LOVE to make a refreshing, and cooling, quilt like the Timber quilt top by Film in the Fridge ... looks so inviting and so cool, especially compared to his 102 temp I'm having to suffer in! Give me some BRRRRR!!! 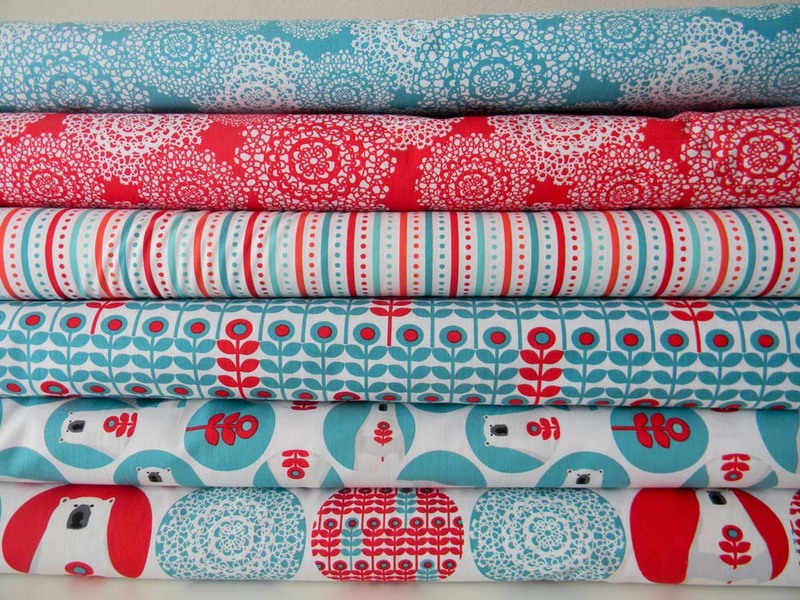 First off, <3 <3 <3 the fabrics, 2nd Aqua/Cherry Red is my fav color combination-and 3rd, you did good! I love "54/40 or fight" blox and they(54/40) sound like cold Brr! temps, eh?!? Brrr! 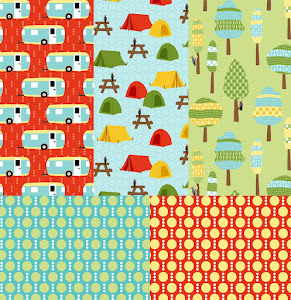 If I win these lovely fabrics, then want to try the Film in the Fridge quilt, or something like a log cabin. What better quilt than a quilt design that celebrates Brrr!! 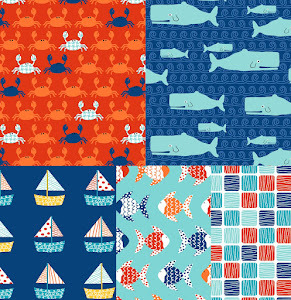 I love these fabrics! I would make everyone in the family Santa Bags for their goodies...inside would be their happy Christmas quilt! I've seen Converging Corners by Film in the Fridge in person and it is just lovely and so inspiring! I think I'd try to use it as a jumping off point for a quilt. And I definitely need to make some uber-cute pj's for my kids once I get my hands on some yardage! I really need a new tree skirt so that's what I'll be making. Great time to start on the hand-made christmas gifts. I think the sleepover PJ pants/top are the best. I would have to give those a try. 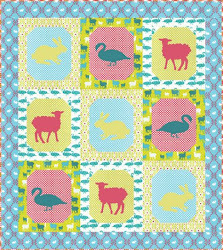 By the way... the llama fabric is fabulous! I would use it to make new Christmas stockings this year... or maybe a tree skirt? My little one is now 10 days old, and I'm thinking her 6 month old self will look über cute in Brrr outfits around the holidays! I would love to make a nice big quilt for the family couch, to put out for the winter - and some stockings, too! :) Thanks for the chance - I love this line! 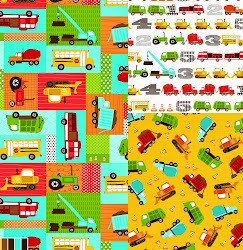 that rocket ship just steals my heart- i would have to take a stab at that, maybe as a quilt! I love Brr! I would definitely tackle something I've been wanting to do all year - a new Christmas stocking for each of my 3 little boys! Would use some improv piecing/light quilting and the bright Brr! fabrics.... would be simply perfection, I think! I LOVE Brr! I would definitely make a quilt (possibly a chevron style) as a Christmas gift. It would be great to have a bit extra left over to make a matching pillowcase as well. I know if I unwrapped a gift like that I would pee my pants!!!! I'd love to have a quilt made with Brrr. Thanks for the giveaway. Definitely I'd make a quilt. Got to have these lovelies in a form that will require snuggling by the fire in the light of the Christmas Tree!! my son would go wild over a lap quilt with polar bears on them! i'll put it on my list! sure would like to win the aqua/red bundle! thanx for the opportunity to do so. I would like to make a quilt for my boys to snuggle on the couch with this winter. Thanks for the great giveaway. I would make a warm winter quilt with a fleecy backing. Oh my! All these projects look lovely. I would make a whole set of pillows, table clothes and so on for our living room. So it would look Brrrrilliant in the winter months. 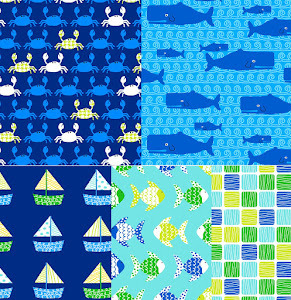 I love these fabrics, they're so fun & colorful. All of the projecta featuring Brr! are amazing. I'd love to make a quilt for a friend's little boy who is nearly 3 - he loves bears. Thanks for the lovely giveaway. Christmas stockings for my two new nieces firstly - I'm sure they would love them for years and years. The PJs are super cute too. After seeing all the delicious photos I want to make everything!but since my nursery is pink red aqua and grey I would love to make a quilt and some cot sheets in the red and aqua colors! Thanks Laurie for the chance! I think some winter, not just christmas, pillow cases would be top of my list. I think it would make a lovely tree skirt or table runner & placemats! I think a tree skirt would be fun ... I've been meaning to make one for the last few years. I fell in love with this line when I first saw it and have been SO waiting!!! Want to make my own version of the rocket quilt - maybe the bear will be in a truck. Oh, Oh, pick me! I would definitely make a cute quilt. I think it would make an adorable patchwork Christmas tree skirt. Love the polar bears! Thanks for the chance to win! I would love to make some stockings! Brilliant - love the polar bears. its too nice to cut up - so maybe stretch over some canvases for some Christmas wall art. I've been waiting for these fabrics. I would make Christmas stockings and possibly a Christmas tree skirt. I love the blue/red combo, and I'd love to make a quilt with it. Or a Christmas Tree Skirt sounds fun too! I have been anxiously awaiting the release of this line! So I am super excited that I will FINALLY be able to get my hands on some of those cute little bears! Lets see ... I think I foresee a table runner, possibly a tree skirt, a quilt and possibly a baby quilt too, just have to convince the mom she would rather have polar bears than winnie the poo. Congrats on another great line, I am literally jumping up and down with excitement ... now to go find the scared cat. 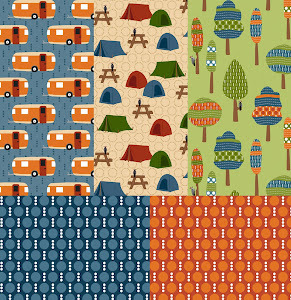 I'd make a lap quilt and matching pillows with this adorable fabric. Thanks for the sweet giveaway!! I love those box bags and have been meaning to try to make one. I think this fabric is perfect! 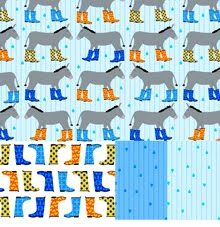 I would love to make a quilt and some scrappy Christmas stockings. I love this fabric so much!!! I would make a quilt for my grandchildren to use when they come to visit in the winter. The bears are so cute! Have you seen those projects where you make a covering for a bridge table so little kids can use the space underneath it as a play house? 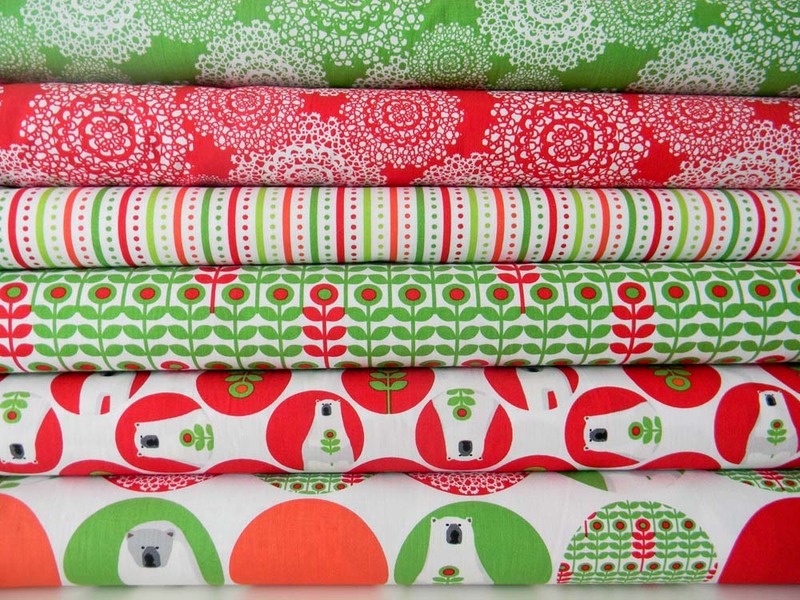 I'd love to do that- these fabrics are wonderfully wintery, and winter is when my kids are in the backyard so much less- I'd love to make a kitchen table clubhouse for them with Brr! 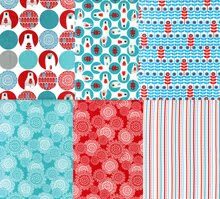 I haven't decided what to make yet but I have all your fabrics and have been waiting, waiting, waiting for the polar bears in the aqua/red colour way please let me win! I would make a quilt with pillowcases to match. Thanks for the giveaway. I LOVE those polar bears! Thanks so much for the giveaway! 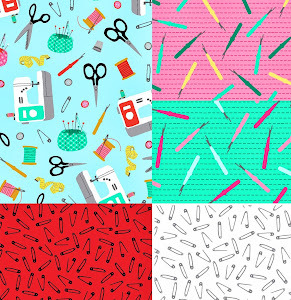 I'm thinking I'd make either a tree skirt or a triangle quilt with this fabric. Christmas stockings have been on my to-do list for a couple of years. If I won, they'd actually get made! Thanks for the chance to win! I'd make a super snuggly quilt for my little nephew for Christmas. Thanks for the giveaway. 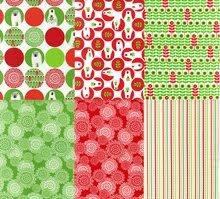 I always have a plethora of Christmas gifts to make each year, this would be fun fabric to crate with. I went to a quilting retreat run by Penny and just missed winning a small bundle that she had as a door prize. Maybe this was meant to be my time to win some. Wow..... if I were to win, I would make a winter quilt for my son's bedroom. Anything left over would definitely be made into a sham and a polar bear would have to be appliquéd onto his jammie front. Lovingly sighing. I would make a throw size quilt for my couch. It would be such a bright colorful addition to my usual Christmas decor which I think is mostly darker colors, now that I think abou it! 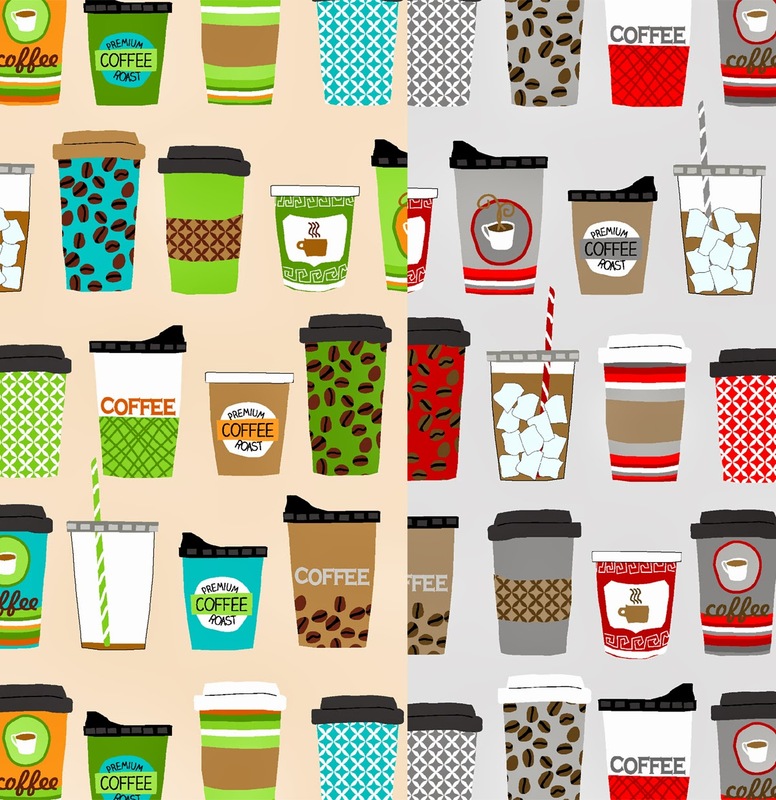 I would make a lap size quilt to snuggle under while drinking hot chocolate this December! I would make a Christmas quilt! And maybe some pillows too! I'm definitely making some Christmas jammie pants for me and my little girl. Maybe even for my fella. The dogs may even have to get included somehow...maybe dog collar covers for Christmas morning. I really love all the fabric you put out. It never fails to make me smile! 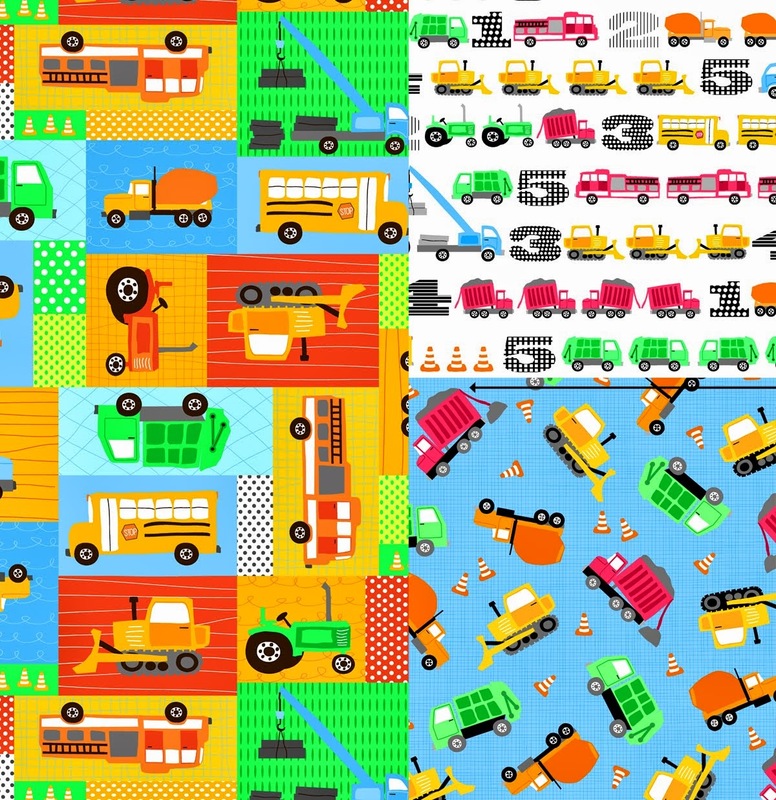 I would love to make a quilt out of brr I have seen so many fantastic things made out of it and would love to put my hand to it. I have entered every give away for this fabric & still haven't won any :( But here is one more chance to get my hands on some before it hits the stores! I plan on making myself a Christmas lap quilt. I would love to make a christmas quilt! Love christmas in July! I'll make a cozy lap quilt. I plan to get some for a lap quilt for ME (nobody is getting this one!) and also a bag. Love this fabric! Christmas stockings for sure! Thanks for the chance to win! I'm so excited that I'll soon see this in stores! On the top of my list of things to make would be a throw or pillow (or both!) by that lovely tree pattern and the grands definitely need polar bear jammy pants! Wow, thanks for the chance to enter! 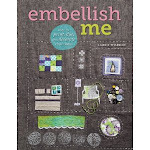 Since I am new to quilting and those quilts pictured were very inspirational; I would love to make a quilt similar to the one by Blue Elephant stitches; it is so terrific!! Hi Laurie. I would certainly make a Xmas table setting and kitchen towels. It will be cold enough here in Finland for polar bears at that time! A quilt, several quilts, and several table runners! Something very modern!! Thank you for this great giveaway. Such beautiful ways to use Brr! I think I'd make some stockings or a Christmas quilt with them. Or maybe a tree skirt? So many possibilities! Thank you for the giveaway. I was just searching for when this would be out! i have also been drooling at the quilts i have seen made...so many options to choose from. but definitely a quilt! i am close to finishing pooches and pickups finally for my grandson so why not another laurie project? oh yeah..i am kind of behind on the easter dress with modern whimsy but i can make it by the middle of summer! I will make them into pouch! Gosh that bear is so cute! I'd love to try that polar bear spaceship! I think I would make a tree skirt. Love the colors. Now those are some fabulous projects. I think I might make a table runner! What fun fabric. thanks for a chance. ooh! bags for gifting Christmas-y goodies!! I collect anything with polar bears! I adore your new fabric. I will make a quilt for sure! Thanks! I have been waiting for this for so long!! I plan to make my 3 year daughter's Christmas outfit with Brr! And a quilt for myself for the deep love of the polar bear. Let's see...I'd start with Christmas Pillow Cases...then move to a Table runner...then a couple of doll quilts for my grandgirlies. Hi Laurie I am truly amazed with your fabric line...every project that was done with it, in some way shows off this gorgeous fabric. The textures look awesome and make all these projects just bop, congratulations! 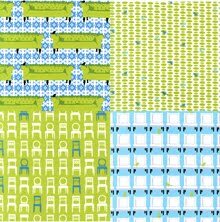 If I won, I would make a snugly quilt for my daughter, who is currently requesting a blue and green quilt! These are just too adorable! 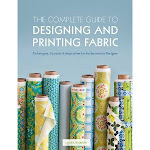 oh boy the fabric is gorgeous and the projects look great, I especially like the Converging Corners quilt. I'd make a picnic blanket if I won! Yay! I'd make a bunch of small projects with some Brr. Some book covers, drawstring bags, baby clothes and then maybe a small quilt for the couch. Thanks for the giveaway. Brr! I need a quilt to keep me cozy when it is brr outside. Loving the fabric line! I'll make some pj's for my grandkids! I don't know what I'd make but I know I would just sit with the fabric and pet it a while. I don't usually wait for fabric line but I loooove this one and have been eagerly awaiting it!! The aqua colorway will be perfect for my Hannukah tablecloth. Ooooh!!!! 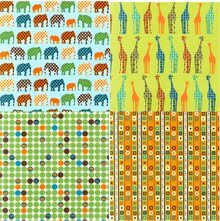 I wouyld love to make the Triangles quilt similar to Ble Elephant Stitches made. I really love the pajamas that you made! Thanks for the giveaway! I'd make a quilt. Thanks for the great giveaway! I love those jammies so much, I think I might have to make some of those. I know three little boys who'd love them! I'll do Christmas gift bags for the kids for the BRR fabrics. Love the colors! A quilt in Brr! is a must-do! However, the pajamas are so very cute! Even my teenagers would enjoy a pair for Christmas morning! 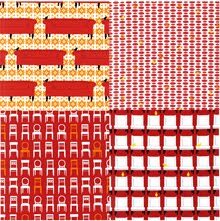 i am so in love with the converging corners quilt, but i think i'd make some really great zippered bags to use as holiday wrappings. Thank you for another give away, again, great fabric! I would make a backpack/bag for my son to put his toys in. These projects are all so georgous. I think I plan to make new tote bags for all of my family and maybe a couple of wall hangings. Each year since my grand daughters birth I have made her a Christmas dress, I would definitely make her a new dress for Christmas! I would make pjs or some Christmas toys for my boys. I'd make Christmas stockings. Can you imagine the cuteness? I have been anxiously waiting for this fabric!! I think it is the CUTEST fabric I have ever seen!! I would make a Polar Bear Christmas quilt, Christmas Tree skirt, scarf, purse to match, pillowcases, Christmas bags, wine bottle bags, etc. I would also use it to make my Polar and Penguin quilt! I would use every bit of it -- I would NOT leave any scraps unturned!! I have never won anything, and winning this would more than make up for it! I LOVE this fabric for Christmas. The color combo of red and turquoise is just my favorite. I would love to make the wall hanging by lil miss shabby! It is a perfect project. I love embroidery and quiliting! Thanks for the giveaway! Oh, this fabric is adorable! I'd love to make some holiday quilted items with this. Love the material. So much to make. What shall it be.